A fantastic season for both our british league teams has finished, which seen 10 players / coaches travel to Dudley for the 4 weekends of matches throughout the season. British League is the premier competition for all performing clubs throughout the UK, with each division being competitive and challenging. North Ayrshire players and coaches kept a spirited and positive attitude through-out proving a great experience for all involved. Division B2 : Andy Macpherson, Martin Johnson, Ethan Chapman & Danny Bajwa. Division C2 : Harvey McDonald, Ryan Henry, Jamie Johnson, Kayser Collins & Charlie Morton. Huge congratulations to Martin , Andy , Danny & Ethan on securing 2nd place in Division B2 of British League. An incredibly tough league where the boys just finished 2 points behind eventual winners Milton Keynes. The team finished ahead of a strong TT Daily team, Woodfield team and Sycamore team and hope to do 1 better next season and gain promotion. This entry was posted in Latest News on 5th May 2018 by Chris Main. Five fast emerging players from the three towns club will fly the flag for their country in a national event later this year. 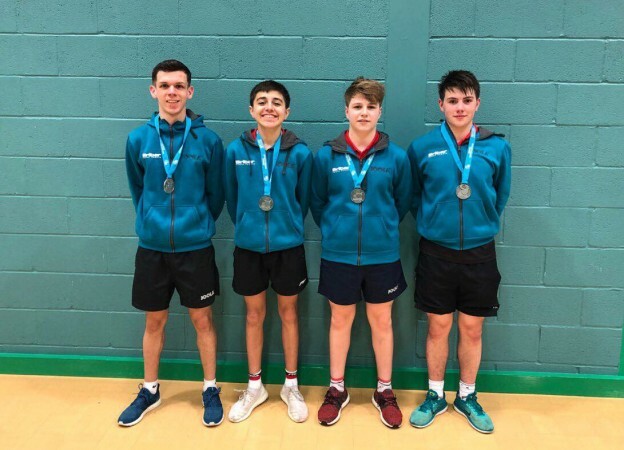 A quintet from North Ayrshire Table Tennis Club recently qualified to represent Scotland at the British Senior Schools Championship in London in June. Playing in the Scottish Schools Finals in Edinburgh last week the following players won their way through after a hard fought mumber of tense matches where the top four qualified from each age group. The Johnson brothers are both top of their age group ranking with Martin no1 in u15 Scottish rankings and Jamie no1 in U13 Scottish rankings. 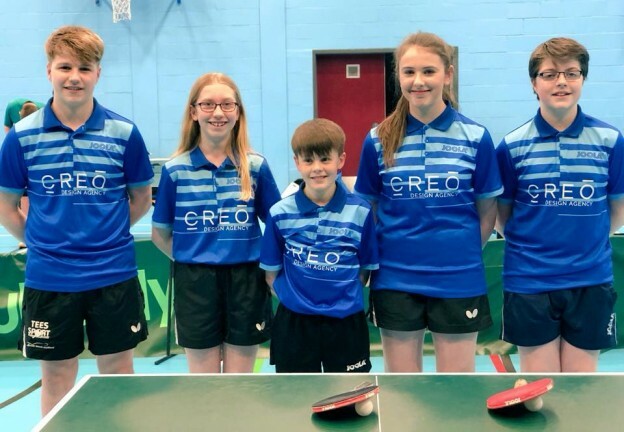 The NATTC players have all came through our junior development programme over the years, and all have represented Scotland in the British Primary School Championships previously. Special mention to Chad Duncan who defeated the number two seed from Aberdeen to qualify. Chad who was number 9 seed on the day, was tied two sets all and 10-6 in the final set, only to see his lead slip away and suddenly found himself match point down. However, Chad showed great courage to win the next three points and clinch his place in the Scotland team. This entry was posted in Latest News on 21st March 2018 by Chris Main. 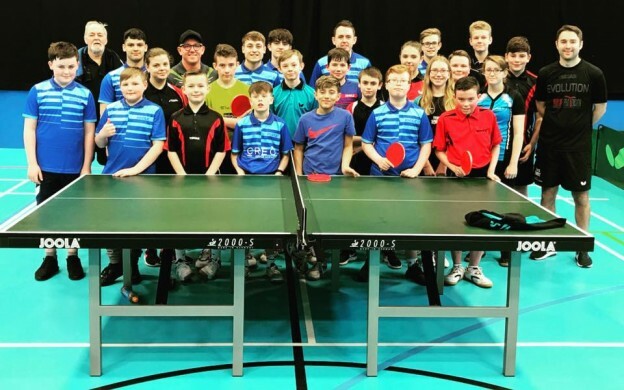 During the February school holidays, National Youth Coach Stephen Gertsen visited our club for two days training as part of Table Tennis Scotland’s Regional Training Initiative. Stephen delivered two sessions on Tuesday, 11-1pm for intermediates and 1.30 – 4.30 for advanced players which saw a great mix of players from North Ayrshire and South Ayrshire TTC taking part. Stephen commented on the great work rate and potential of all players involved and hopes everyone left the session with some new ideas and tips for their game. The following day seen 8 of our top junior players involved in 1-1 sessions with Stephen and club coach Chris Main, which was mainly multiball and fitness based. We would like to thank TTS and Stephen for their efforts over these two days and hope everyone who attended found the training beneficial and enjoyable. 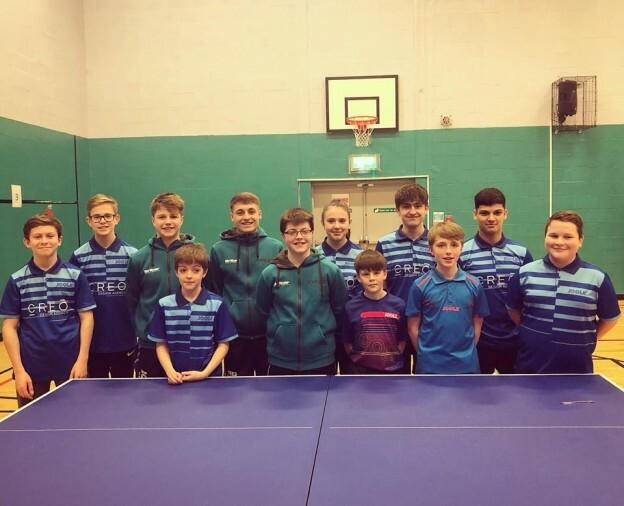 Table Tennis Scotland have been providing Regional Training Days to regions, leagues and clubs across the country. Over the past few months Stephen Gertsen has been delivering coaching sessions to players and providing coach education opportunities to coaches on the ground. The regional training days have proven very popular with sessions being held in Aberdeen, Dundee, Stirlingshire, Dumfries, North Ayrshire, West Lothian and Edinburgh. Table Tennis Scotland would like to thank all our members, coaches, players and parents for all their support. Our clubs, leagues, and regions are doing a great job and your efforts do not go unnoticed. North Ayrshire A have again won the Scottish National League – now making it 5 titles since the league was reconstituted in 2010. They will again have the opportunity to compete in the ETTU Cup. Richard Main described the victory as ‘absolutely amazing’, especially as they had been unsure of whether they could field a strong side for the final set of fixtures. The win was, according to Richard Main, somewhat ‘unexpected’ as they had to face a strong Drumchapel A side in their morning match. Prior to the match Chris Main felt that it was ’50-50′ and that the final result remained uncertain even when his team took a 3-0 lead. Drumchapel were bolstered by Victor Guang fresh from his bronze medal in the men’s doubles (with James Hobson) at the English Nationals. Richard Main was delighted with his victory over Guang (8, -12, 7, 9)- one of his best in recent months. Main also recovered from 1-2 down to win versus Sepehr Bidari. The victories helped his side to an excellent 5-1 victory which virtually guaranteed them the title. They completed things with a 6-0 victory over their young B team who themselves have had an excellent season in Division 1. Another key to North Ayrshire A’s victory was Sean Doherty (coming in to cover Colin Dalgleish’s absence) who produced three good victories (he lost narrowly to Guang), although young Ethan Chapman did push him fairly close (Chapman’s bat felt the full force of his post-match frustrations!). Andy Macpherson also put up a good showing versus Richard Main (Main winning 14-12 in the 4th). As Main commented the Division 1 of the 2017-18 season was a ‘strong league’ with ‘greater strength in depth’ and far fewer near ‘walkovers’ than in previous seasons. Taking the runners up position were Murrayfield A. They began slowly with their no. 1 (Johannes Laute) struggling past Robert Toth and Gillian Edwards (both in 5 sets), While Calum Morrison narrowly avoided a shock loss against Grant Williams-recovering from 4-8 down in the 5th (-10, 3, 3, -8, 11). Morrison and Laute both found form in their afternoon match against Drumchapel A, with the former recording a fine win over Victor Guang (-7, 7, 8, 9). Even more entertaining was Guang’s match against Laute which included some very high quality and entertaining table tennis (one rally included 7 lobs from Guang! )- Guang fighting back from two sets down (-11, -8, 6, 7, 8). The match featured the rally of the day which included numerous smashes, long-distance lobs, drop shots, & a smashed barrier before Guang brought the spectators to their feet with a sensational backhand winner (the next point was a service fault!). In the final match, Yaser Razouk completed a fine personal season with a win over John Hannah to earn Drumchapel A a draw. The top of division 2 was equally tight: Murrayfield B, Dundee and District & South Ayrshire all in the mix. South Ayrshire took the title courtesy of two commanding 6-0 victories. Murrayfield could only follow up their hard fought 5-1 win versus Dundee & District with a draw against Glasgow South A for whom young Charlie Morton picked up 2 good wins. Central to South Ayrshire’s title win was the form of their two rapidly improving youngsters: Harvey McDonald and Rebecca Plaistow. 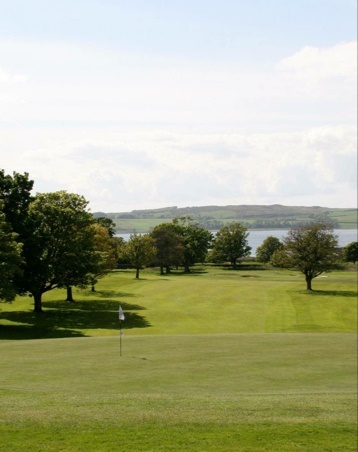 While disappointed to have lost their match versus Dundee & District, McDonald was delighted with his team’s overall performance and was really looking forward to returning to Division 1. He felt that Plaistow had played well, gaining key wins in their vital victory over Murrayfield B- and that her form had been ‘much better’ in recent weeks. Roy Claxton hopes that Rebecca and Harvey will have a strong third player (possibly a recruit from down south) to accompany them next season-they hope to be ‘more competitive’ than when they last played in Division 1. McDonald’s ‘dream’ is to challenge the top 4 sides in the league but admits that the priority will be avoiding relegation. Claxton is ‘delighted’ that 3 teams from Ayrshire will compete in the top division next season. In Division 3, Murrayfield C finished their successful season with two ‘solid’ 6-0 victories over Brunswick and an under-strength Grange side. Team captain Keith Dingwall was also grateful to Roy Claxton’s South Ayrshire B side whose 5-1 victory over Edinburgh International was ‘crucial’. Their loss to South Ayrshire B caused Edinburgh International to slip from 3rd place from 1st to 3rd place and thus miss out on promotion. In Division 4, North Ayrshire C completed their season with two 6-0 victories while Murrayfield D saw their title challenge go up in smoke via a draw against Garnet. Many thanks to all those who assisted during the season. Particular thanks to North Ayrshire TTC for hosting the final set of fixtures in their customarily professional manner. The SNL committee are particularly grateful to Catherine O’Neill for stepping in to cover top table duties and to Roy Claxton for helping out with the league table calculations. Division 2: South Ayrshire A. Murrayfield B. Division 3: Murrayfield C. South Ayrshire B. 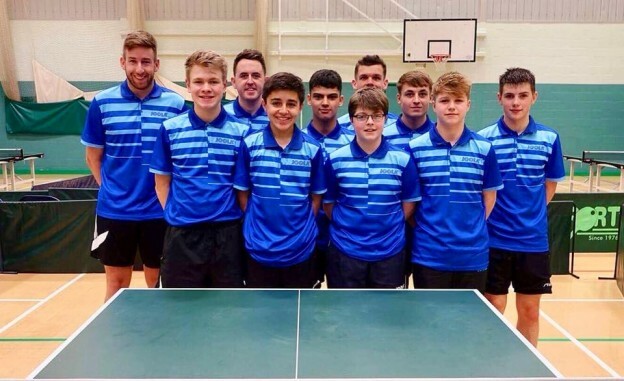 Division 4: North Ayrshire C. Murrayfield D.
West Kilbride Table Tennis Club has been going from strength to strength since it was founded and started just under a year ago in February 2017. Running weekly every Friday with the help of Billy Main and Phil Greenham, the club is at West Kilbride Community Centre with the sessions for juniors 7-8pm and adults 8-9pm. 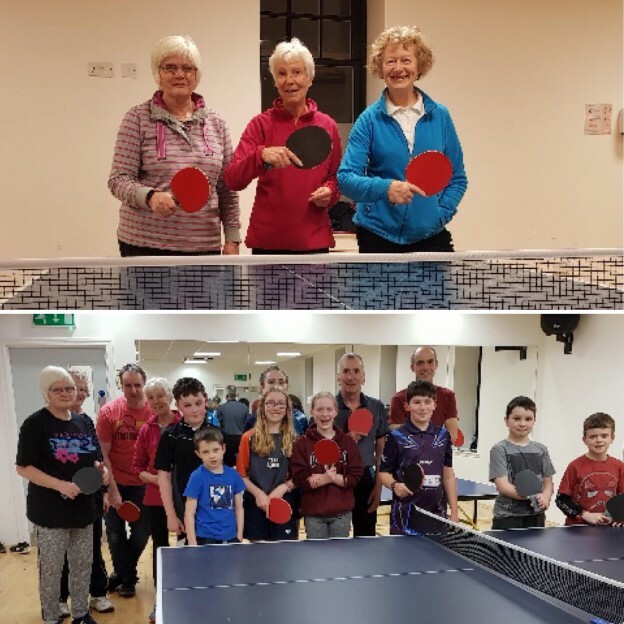 West Kilbride TT Club has a wide range of ages and abilities and is open to everyone, it’s a great additional to the community, offering a new indoor sport which is different from the usual sports offered. Our adult sessions are mainly recreational players and is a great opportunity for anyone interested in starting up playing table tennis or coming back into table tennis. 4 tables are available every week to all participants, and tables are available to book out anytime between 4pm and 10pm on weeknights and in afternoon at weekends. Contact KA Leisure on 0844 736 0077 or details of WK CC below. This entry was posted in Latest News on 14th February 2018 by Chris Main. 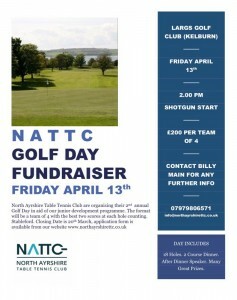 North Ayrshire Table Tennis Club are organising their 2nd annual Golf Day in aid of our junior development programme. 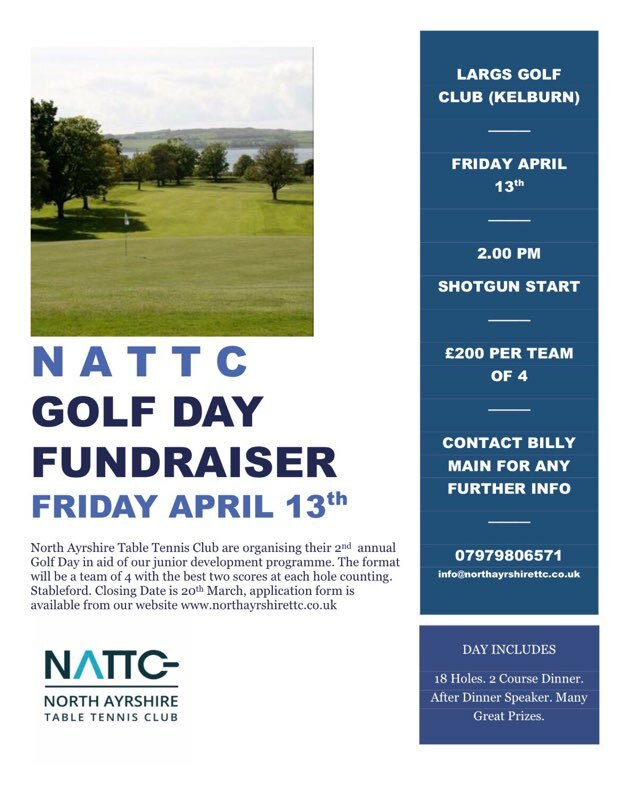 Last years event was huge success and a great day enjoyed by all, we hope for the same turnout this year with the format being a team of 4 with the best two scores at each hole counting. Stableford. This entry was posted in Latest News on 24th January 2018 by Chris Main. 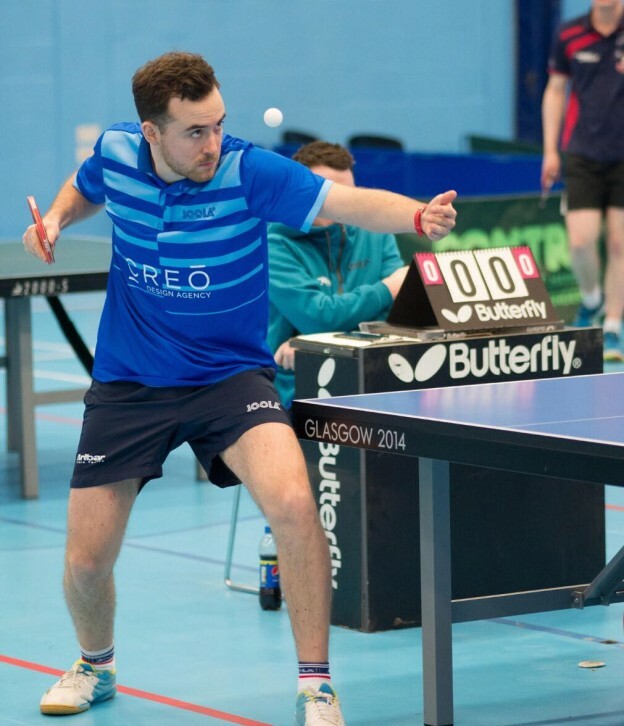 North Ayrshire have two teams competing at Bromley TTC in Division B2 and C2 of this seasons Senior British League. Our B team who competes in the B2 Division is made up of Martin Johnson, Andy Macpherson, Danny Bajwa & Ethan Chapman. Our C team who competes in the C2 Division have had 5 players involved in their team so far this season, Harvey McDonald, Charlie Morton, Ryan Henry, Kayser Collins & Jamie Johnson. Andy, Danny, Martin & Ethan in Division B2 have impressively worked their way to joint top of table with 1 weekend left to play. The boys narrowly beat TableTennisDaily and Sycamore in the two last fixtures, both 5-4 to stay joint top with Milton Keynes. Danny Bajwa won the deciding match 11-7 in fifth to get our team the win and two points to keep us in with a fight of promotion. Harvey, Charlie, Kayser & Jamie, alongside coach Jordan McGinlay, won 5-4 v top of the table Lillington and 5-4 v 2nd position Woodfield II in the last weekend of matches which puts them in 6th postion in a close fought league. Harvey won 5 out of 6 matches and Charlie won 6 out of 6 matches, with Jamie Johnson making considerable progress winning more matches as the season goes on. This entry was posted in Latest News on 22nd January 2018 by Chris Main. 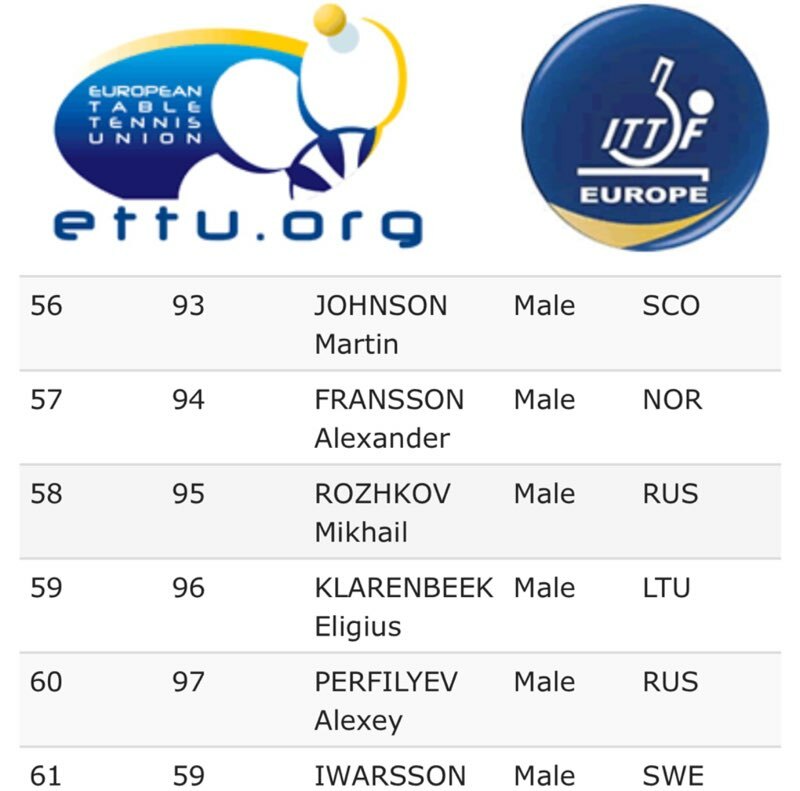 Following a fantastic European Youth Championships debut where he won 50% of his matches in the Cadet team event, Martin has a new European ranking of just outside the top 50 at 56. 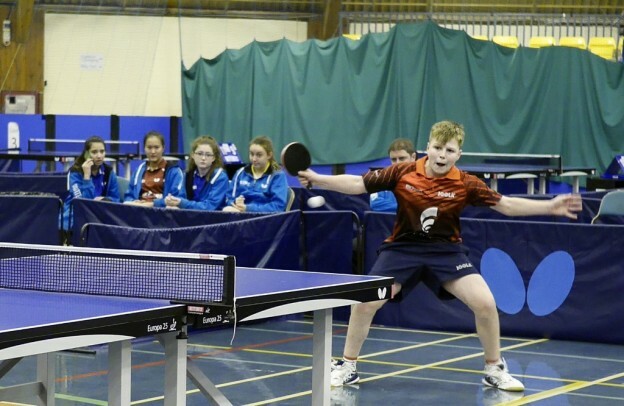 The Auchenharvie Academy pupil who is ranked no1 in Scotland at u15 level is the highest British player in the u15 boys ranking and is aiming to increase this ranking by competing in two European competitions before the year end. 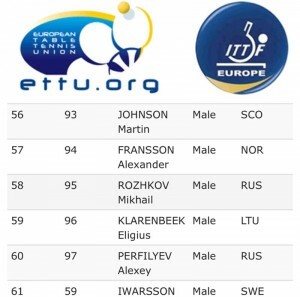 Another notable recent result for Martin was winning Bronze medal in the singles of the Junior 6 Nations, beating Loui Price, the English no2 in the quarter finals. Narrowly losing out to Irish no1 Art McLauglin in the semi final 3-1. This entry was posted in Latest News on 10th January 2018 by Chris Main. North Ayrshire Open confirmed for April 28th & 29th at our club venue St Matthews Academy, Saltcoats. Saturday 28th April will be Senior events such as Mens & Womens Singles, Banded Events & Over 55’s. Sunday 29th April will be all the Junior Events, from u11s to u18 boys and girls. There will be a minimum of £1000 in prize money and vouchers and the entry forms will be online early February. We welcome all players of all standards to enter and hope to get another high number of entries as per previous years. Minimum £1000 in prize money and vouchers with Entry forms out early February. This entry was posted in Latest News on 4th January 2018 by Chris Main.